Subscribe to Japan Live Price via POEMS 2.0 for FREE till 30th June 2019! With over 3000 counters that are listed on Tokyo Stock Exchange available for trade through our suite of POEMS platform, including renowned names such as Toyota, Softbank, Sony, and Nintendo, start trading in the Japan markets now! Login to Subscribe Now! 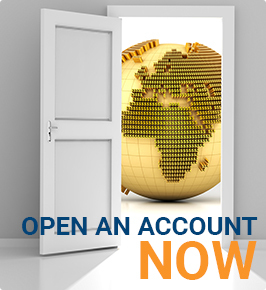 Open an account with us! 1) The promotion is applicable to new and existing clients of Phillip Securities Pte Ltd (PSPL). 2) This promotion is open to individuals who qualify as non-professional as defined in the FAQs on this page. 3)Professional investors do not qualify for this promotion. For subscription of professional investors, please click here. 4)Subscribers must subscribe and agree to the agreements set out in the subscription page to enjoy this promotion. 5) A subscriber, who falsely declare to be Non-Professional but is a Professional, will be held accountable for all applicable penalties and/or Exchange fees. 6) The promotion is valid till 30 June 2018. Client who wishes to renew or extend the subscription after 30 June 2018 may subscribe for the chargeable subscription and pay accordingly prior to activation of the service. 7) PSPL staff and agents, and PSPL cross-border clients are not eligible for this promotion. 8) PSPL account application Terms & Conditions apply. 9) The management reserves the right to make changes to the Terms and Conditions of this promotion without prior notice.